Wuxi Tianbo Electric Appliance Manufacturing Co., Ltd. 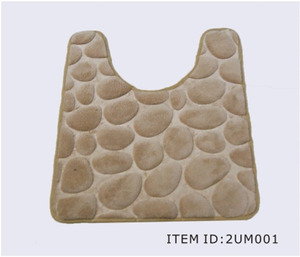 In this way, we can let the heat transfer to any desired place. 4. Customer make the payment for deposit and send us Bank receipt. 8. Clients make payment for balance and Topright Ship the goods . 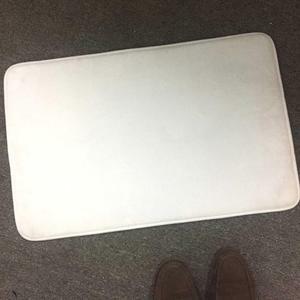 Ningbo Jie Jia Trading Co., Ltd.
Jiangyin Mengyou Electric Heating Appliances Co., Ltd.
We can produce different rubber pad: 1. R ubber pad for car lift . Stable rubber material cooperation to make sure good & steady rubber quality. Professional & experienced engineers in rubber field. Ningbo Longwin Imp. & Exp. Co., Ltd.
Shenzhen 3KS Electronic Material Co., Ltd.
13 Useage Used for promotion gifts, advertising and shopping purpose. 6.Applicable place: hotel, bar, parlour, kitchen, bathroom, office, meeting room, etc. And, granulate surface made of foaming rubber only is also ok on the condition that the thickness reaches above 2mm. Guangzhou Changni Sublimation Artware Co., Ltd. Moreover, these sheets are available in different spheres to meet the diverse requirements of our clients. New clients are expected to pay for the delivery cost, this charge will be deducted from the payment for formal order. Q3: How about the lead time9 A3: Within10-20 days after getting the prepayment or L/C. Shenghua Sublimation Printing Machine Equipment Co., Ltd.
silicone heat mat for heat press transfer printing machine we are manufacturer of silicon sheet, all sizes and A ll thickness of silicon sheet/pad aravailble Silicone rubber pad, silicon mats for heat transfer machine,high temperature resistant silicone rubber solicone pads, sparet parts for heat press machine 1.Size:38*38cm,40*50cm,40*60cm,,,,any size according your order 2.temperature:0-399 Product feature: high temperature resistant, very suitable for heat press machine 1.Size:38*38cm,40*50cm,40*60cm,,,,any size according your order 2.temperature:0-399 3.Thickness: 0.8cm,1.0cm We also supply other accessories for heat press machine. If you are interest in any of our products, pls contact us, any inquiry will be reply with 24 hours. Cangzhou Chengrui Rubber And Plastic Products Co., Ltd.
1. 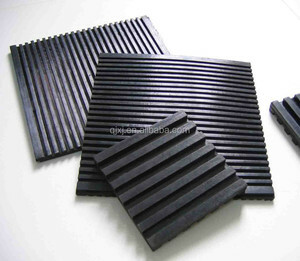 According to medium inserted: Pure rubber sheet, Fabric rubber sheet, Metal frame layer rubber sheet. 3. 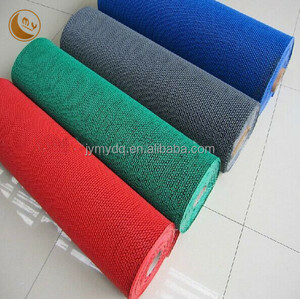 Property: Fabric rubber sheet, insulated rubber sheet, oil resistant rubber sheet, acid & alkali resistant rubber sheet, Anti-slip rubber sheet, anti static rubber sheet, etc. 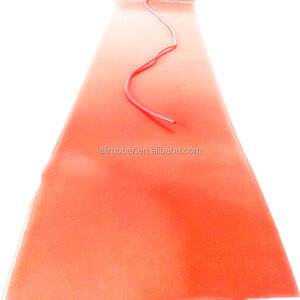 Q: Do you provide guarantee of the rubber products you manufactured 9 A: Yes, all our products provides guarantees according to industry standards. 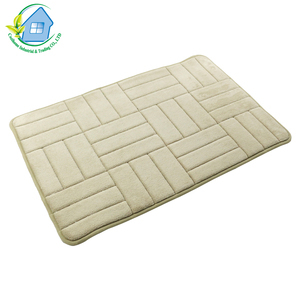 3.Food Field: They have a good condition as the placemat,ta ble mat , dish mat and other daily application. Q: How long is your delivery time9 A: Generally it is 5-10 days if the goods are in stock. or it is 15-20 days if the goods are not in stock, it is according to quantity. Hefei Xin Zhong Environmental Protection Technology Co., Ltd.
4. Q: Can you add our own logo on the products9 Can you design specially for us9 A: Yes. And we have our own professional designer team. For big order and old Customers, we give reasonable discounts. : AH1701 Sublimation Cap Heat Press with 12*12cm flat heater Model No. :CK101 Electric auto slide out heat press machine Model No. :m001 A4 size sublimation paper Heat transfer printing for mug,T- shirt,metal,ceramic ect Model No. The bar runner can be a collected items for brand consumers as post-stamps to increase their consuming retention. The materials of our bar runners are completely environmental and harmless to match EEC EN71 standards. Q4: What's your main product9 A : Our main product are sublimation transfer paper , sublimation ink , sublimation machine and sublimation blanks . silicon mat for heat pres transfer machine 40*50cm, 100*120cm, 130*180cm we are manufacturer of silicon sheet, all sizes and A ll thickness of silicon sheet/pad aravailble Silicone rubber pad, silicon mats for heat transfer machine,high temperature resistant silicone rubber solicone pads, sparet parts for heat press machine 1.Size:38*38cm,40*50cm,40*60cm,,,,any size according your order 2.temperature:0-399 Model number: CY-K Product feature: high temperature resistant, very suitable for heat press machine 1.Size:38*38cm,40*50cm,40*60cm,,,,any size according your order 2.temperature:0-399 3.Thickness: 0.8cm,1.0cm We also supply other accessories for heat press machine. If you are interest in any of our products, pls contact us, any inquiry will be reply with 24 hours.